Our online resource centre is designed to provide adoptive families and adoption professionals access to in-depth information on adoption issues and parenting. These resources are drawn from our over 35 years of experience in the adoption community, from parents and professionals alike. 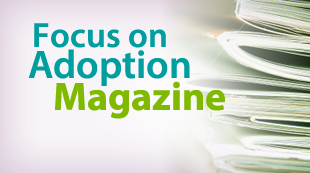 Browse and read articles on a wide variety of adoption topics. Subscribe to Focus on Adoption magazine, an all-Canadian perspective on adoption issues and parenting. Download these great adoption resources. Borrow books and videos from Canada's largest adoption-related library. Purchase adoption related products while supporting our work. Explore the joys and challenges of adoption with these AFABC-made films. Find financial tips for every step of the adoption journey. Visit these other adoption-related websites. Become a part of the AFABC adoption community by becoming a member!